There are currently over 60 species of rats in Australia. Two of these (the Black Rat and the Brown Rat) are introduced species that have rapidly adjusted to Australian conditions. The Black Rat is commonly found in disturbed or degraded environments. It is the rat most commonly observed in cities and towns, and is often responsible for the infestation of houses, sheds, warehouses and storages. 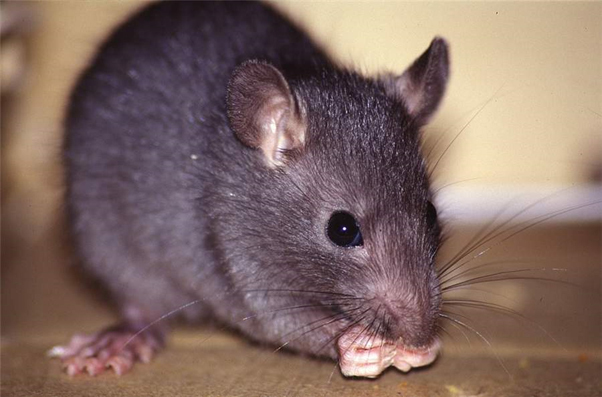 Impact: Rats are capable of transmitting diseases such as leptospirosis, typhus fever and rat-bite fever. They may also carry ticks or fleas which can harm pets or humans. Rats are destructive and can cause damage with their gnawing and digging. They can damage materials such as food containers, wood, particle board, insulation and wiring. It is important to note that gnawing of electrical wires may cause fires.